Everyone is looking for ways to stay young. There is evidence of that on every billboard you drive by and every advertisement you hear on the radio. Everywhere manufacturers and companies are trying to find ways to sell you products that are going to make you look and feel younger. Some of them may, but most of them are just giant placebos designed to help us feel better about getting old. Don’t worry, though, there is something that you can do to stay young even as you age. 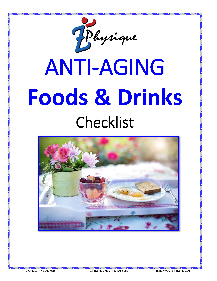 Diet and exercise can help your body fight the signs of aging in many ways that science is only now discovering. Here are a few examples of the awesome ways that the right diet and a little bit of exercise can help you live a longer and healthier life. The San Fransisco Gate put out a great article about the effects of nutrition and exercise on bone health. Notably Calcium and Vitamin D were two of the most important nutrients when it came to bone health. These combos can be found in almost all dairy products, since all dairy contains calcium and is fortified with vitamin D.
Combine the bone building properties of the nutrition with regular weight bearing exercise and your bones will be stronger than ever. Your body builds new bones every 7 years, and the bones it builds are based on the activities you do. If you’re a couch potato your bones won’t have near the density they would have if you had chosen to participate in regular activity 4-5 times a week. It’s all fine and dandy to have strong bones. But the truth of the matter is, your bones are on the inside, and no one sees them. Knowing you have healthy bones doesn’t really give you the satisfaction of knowing you are healthier because you don’t see it every day. But don’t fret diet and exercise can give you something else that is much more visible. Dr. Hussein Yavari from the Emirates Hospital has a wonderful article that talks about the effect of diet on the skin. Things like sugary drinks, deli meats, French fries white rice and other quick grab foods could be causing you to have prematurely aging skin. Dr. Yavari recommends eating a much cleaner diet that has lots of fresh fruits and vegetables and healthy fats to maintain a youthful looking glow. He also recommends drinking at least 6 to 8 glasses of water every day. In addition to a good diet, exercise can help your skin look its best. The article on the emeritus hospital website discusses how exercise reduces hormone and stress levels. Reducing hormone and stress levels gives your skin that perfect look and healthy glow that is normally associated with youth. The last thing we associate with youth is having a lot of energy. Proper diet and exercise are going to give you the energy needed to feel younger and even act younger. WebMD notes a study that those who complained of fatigue could increase their energy by about 20% simply by regularly participating in low-intensity exercise. Food is our source of energy. It’s no wonder that a good diet can leave us feeling rejuvenated and full. Health.com notes that a healthy diet is going to leave us free of fatigue and make us less susceptible to things like illness depression and chronic conditions like heart disease. A good diet may very well be nature’s way to keep you young. These are the three easiest ways to make sure you stay young throughout your life. How do we measure youth? The way we look, the way our body performs, and how much energy we have. The truth is that no matter the age of your body, you can still feel and perform as if you were younger. All you need to do is make sure your body is properly cared for. Try incorporating a healthy diet and a little bit of exercise into your daily life to see how much it changes how you feel.